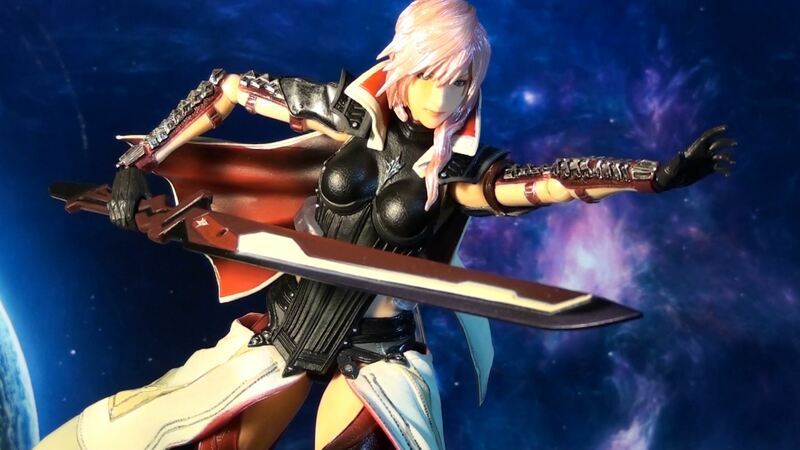 Lightning makes her 3rd appearance in Square Enix’s Play Arts Kai series with this amazingly sculpted action figure. 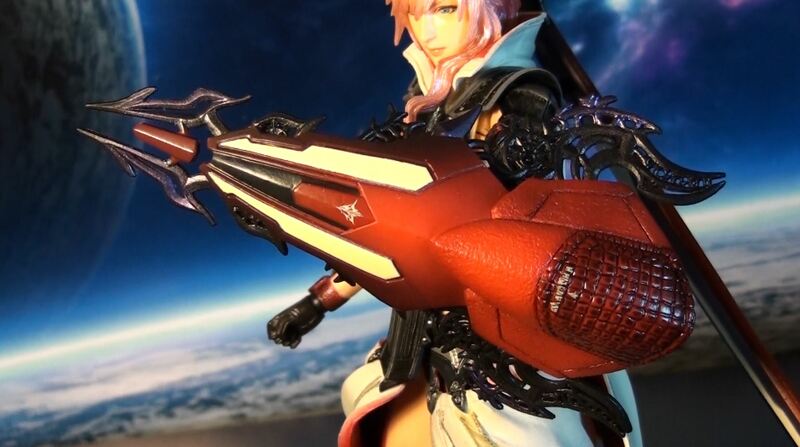 Scaling about 9 inches tall, she sports her latest design from Final Fantasy XIII Lightning Returns. 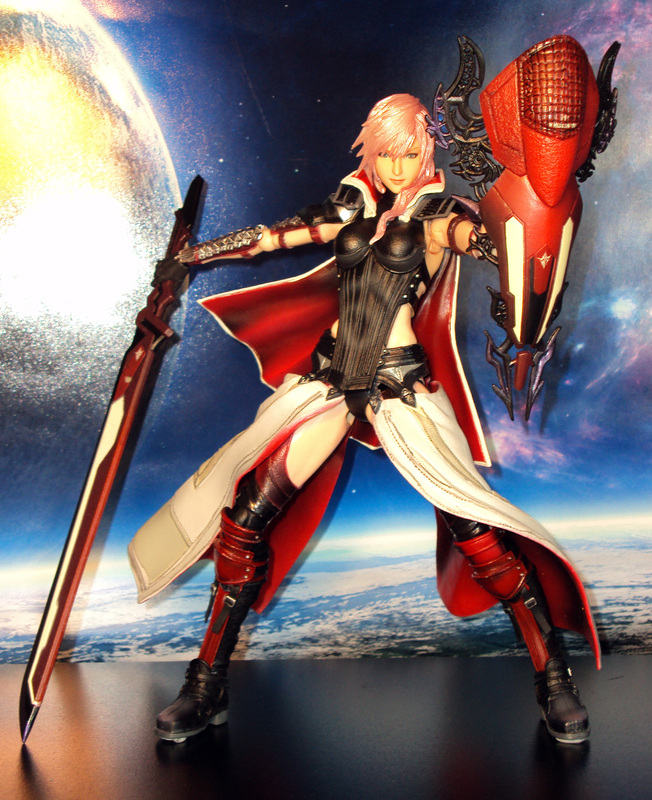 She is highly articulated with extra hands, sword, shield, and display stand. Priced at about $60 (Amazon, bigbadtoystore.com). 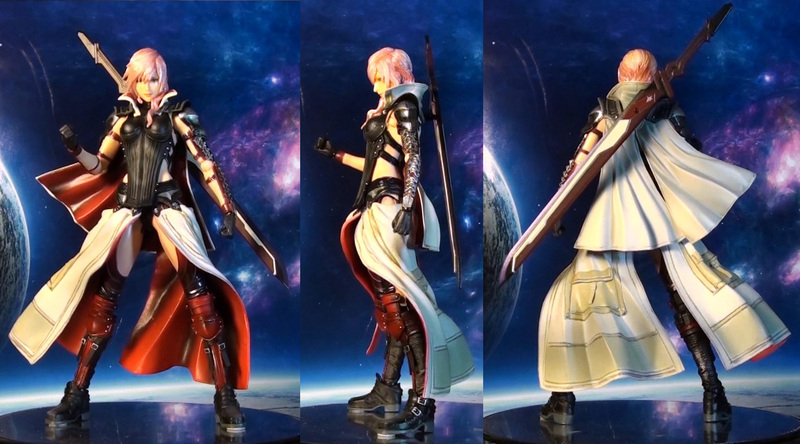 Lightning returns thanks to Square Enix in this Play Arts Kai action figure from the Final Fantasy XIII-2 Video Game. 8 inches tall (1 inch shorter than her 1st figure), about $55. 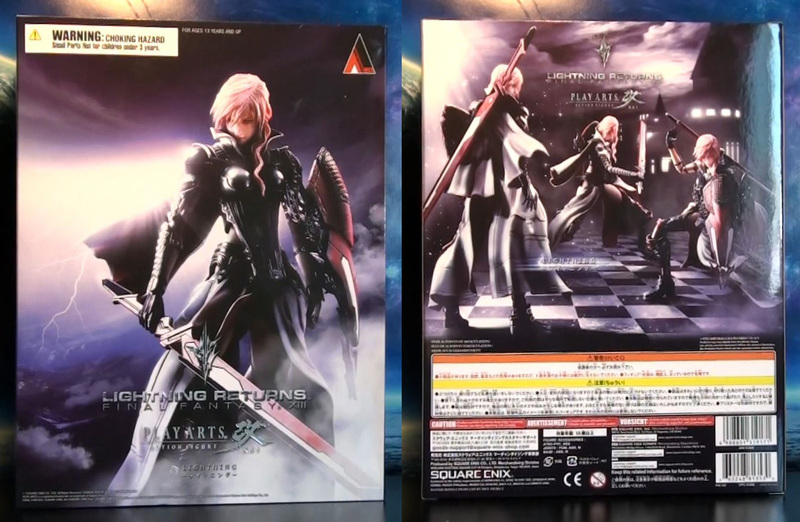 The popular PSP video game inspires the return of Cloud Strife in his classic look but in the 9″ Play Arts Kai scale. Includes his trademark Buster sword and an extra set of posing hands. No display base. Expect to $50 for this figure.